There are currently 3,827 users on this website. Home-made Pages - Has Anyone Thought Of This Before? As regards making one's own album pages, I was wondering if anyone has thought of this idea/invention before. Most printers will only handle standard paper, and album leaves won't go through. So, you can't put home-made pages into, for example, multi-ring album binders or binders with non-standard mechanisms, because you can't punch the holes (generally speaking). So this is my idea. Manufacturers need to make adhesive strips which can be attached to the long side of the paper. These could be made in a wide range of styles, eg 22-ring, etc, to fit into all types of album binder. 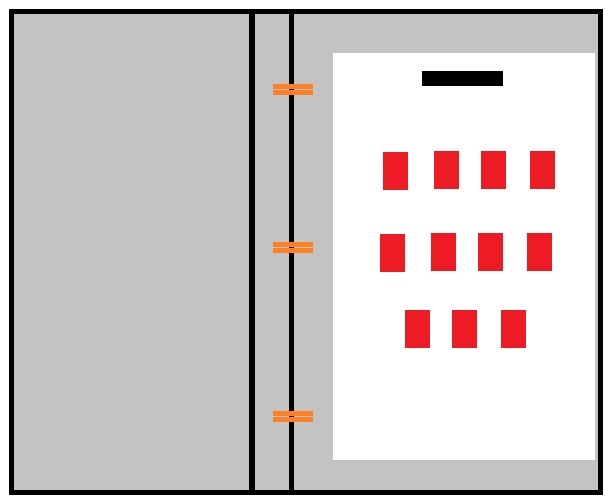 Then, you can make your pages, print them, and house them in any style of binder you want, by attaching the right strips - and without plastic covers, if you don't want them. Presumably they wouldn't be too expensive, as they are essentially just lengths of sticky paper. I bought some many years ago. Ah, so someone has thought of it! 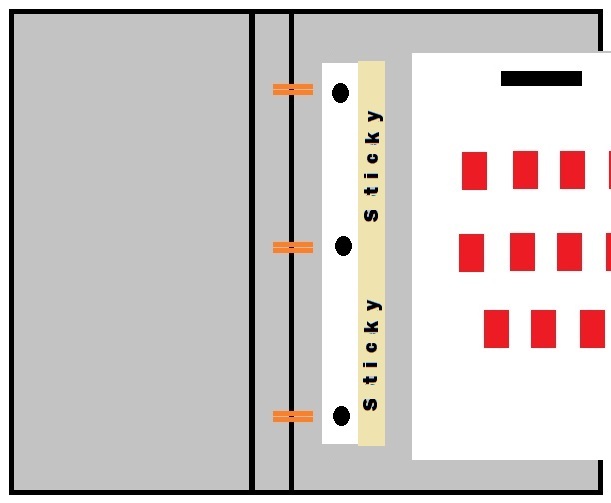 OK, now it just needs someone to adapt the idea for stamp albums - paper rather than plastic strips, and holes to fit a range of stamp album binder types. Yea that would be great, maybe contact the company and put your idea to them, they might think it's worth their while,. Let me know if you do and how it turns out. Maybe get some sizing together to back up your proposal. Schaubek offer something similar. You print your own pages on stock matching their paper (A4) and insert in a plastic holder that fits their binders. It looks pretty good. I don't understand why more publishers like Scott don't do this. I've suggested it to Amos and got a polite brush off. Possibly they may fear folks will print their own pages for use in their binders and not buy their Specialty albums. If you are handy, why not just cut the strips yourself with craft knife and steel rule? Then, make a template to mark and punch uniform holes. And finally, use some white glue to affix the pages. Self-adhesive tape is not a good choice for making paper joins that you expect to last for more than a few years. You could probably do it yourself for simple mechanisms, like 3-ring or non-standard spacings of 4-ring - but what if you have a multi-ring binder you'd like to use? It would be near impossible. That's why I think they'd need to be made professionally. Good point Ringo. If you know a printer with a paper drill, you could inquire about the price and feasibility of drilling a stack for multiple holes. I just printed off a set of Machin pages. Its only 8 1/2 X 11 but they look nice and fit just right in my Vario "F" binders. This is a brand new venture for me. I think the Prinz compage system could be what you mean? Out of all of my 50+ albums, only one is pre-printed. I have been making my own albums pages for close to 30 years now. I have always preferred my own versions over printed ones. You can eliminate hole punching by using a springback binder. The site search isn't finding it right now, but there are a couple of discussions on it in the forum archives. Your idea is extended a bit with those, where the highest quality pages made for them have linen backing at the inside edge of each page that is used like a (door) hinge that keeps pages flat. Those are now really expensive unless found used. White glue: most people aren't good a applying a uniform very thin coat. Too wet, and everything will wrinkle up. Too thin a paper stock and everything will wrinkle. There are "extreme" glue sticks which would last longer than the usual, but I don't know how long-term that might be. Good point about the white glue hy-brasil. If a person uses a small, flat artist's bristle brush to spread the glue, an even film can be applied. A tiny bit of water added to the glue will help it to move better. It is always best to experiment first if you are not completely familiar with glues and papers. Always clean your brush with soap and water after use (sometimes the teacher in a person never leaves). All of these are work-arounds to try to get pages which are printable cheaply and easily to fit a ring binder. But is the result worth it? Will the glue hold for long? The adhesive these page additions use may not hold for many years. Could it damage the stamps in any way? Is the resulting album good looking? Do the pages look professional and high quality or cheap and home made? Give it some thought and experiment before you commit. Maybe a different approach that produces high-quality pages without the use of stick-on holes and glue would be preferable? Especially if the album pages were larger sized. Wide-format printers can print pages onto standard album-sized pages. You can either buy such a printer or take your pages on a flash drive to a print shop and do it there using their wide-format printer. Or you can take your new or old existing pages (pages no longer in print, for example) to a print shop and photocopy them onto all-blank (unbordered) pages and put those full-size pages into standard album binders. I've done this with many pages, and they look almost like the real thing. You can also order the popular Steiner pages printed for you onto Minkus or Scott sized paper online. Search for "Album Pages". I've done that, too. I don't like the look of the Steiner pages nearly as much as I like the look of Scott, Lighthouse, and other pages, but sometimes they will just have to do. Give various options some thought before you decide.